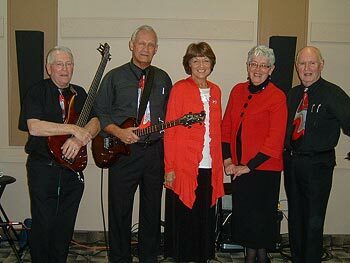 Reflections began about ten years ago and sing mostly to seniors in many churches and other venues in Alberta. The group consists of Les Sather, Bob Cornish and Peter Shepherd who were part of the well-known KING’SMEN Quartet. They are joined by their spouses, Evelyn Sather, Donna Cornish and Margaret Shepherd. Their desire is that their ministry of music will be a blessing to all who hear them.